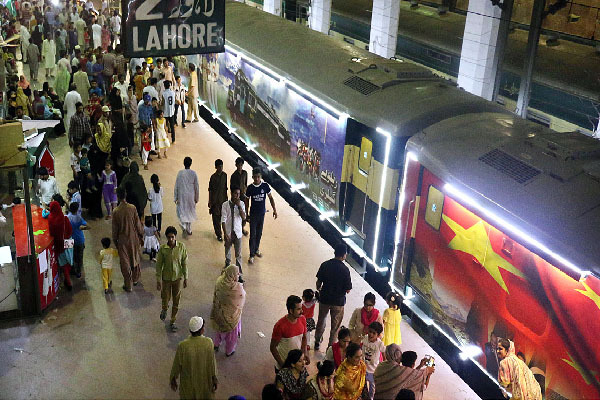 ISLAMABAD, Aug 20 (APP): Pakistan Railways special Azadi Train will depart for Sahiwal after three-day stay at Lahore Railway Station. Incharge Azadi Train Sajid Bashir Raja told APP that train will stay two hours at various Railways Junctions including Raiwind, Choki and Okara, adding that later Azadi Train will reach Sahiwal. He said that after night stay Azadi Train will continue its journey to other cities. Sajid Bashir said during three-day stay in Lahore hundreds of people visited the Azadi Train cultural floats and galleries. The visitors highly appreciated Pakistan Railways for giving an opportunity to celebrate Independence Day with befitting manners. Azadi Train started its journey from Islamabad. The train already completed its visit to Khyber Pakhtunkhwa and now after Punjab Train will visit Sindh and Balochistan provinces. This was specially arranged to pay tribute to our national heros. The train also displayed the replicas of country historical buildings and places to highlight cultural heritage of the country. Pakistan National Council of Arts (PNCA) and Lok Virsa artists groups also joined Azadi Train in Lahore.